Shazam is just a great service. The days of sitting there for hours trying to remember a song your heard earlier, or pestering a friend to see if they know the title / artist, or even Googling fragments of the lyrics – yes, we’ve all been there – are long gone. The music recognition app works its magic in seconds, retaining information on tracks that it tags, and more recently, has broadened its horizons to incorporate TV shows and advertisements. Today, after having had the iOS / Android apps out for a good couple of years now, a Mac version has just been released, and the inconspicuous app is not only useful for those occasions when you don’t want to have to reach for your mobile device, but its always-on nature means you certainly won’t miss a thing. Menu Bar-based apps are always great, serving to make those little improvements to the OS X experience that don’t require the grandeur of a proper, fully-windowed application. 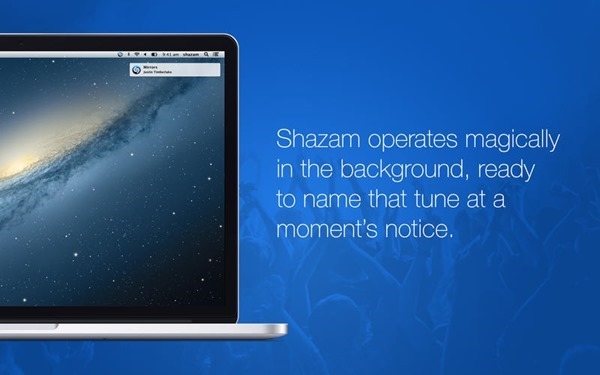 Indeed, Shazam is tucked away almost out of sight, but all of the powerful features of the famed utility lie within, and you can set it to deliver you a pop-up notification as it hears audible content within your vicinity. 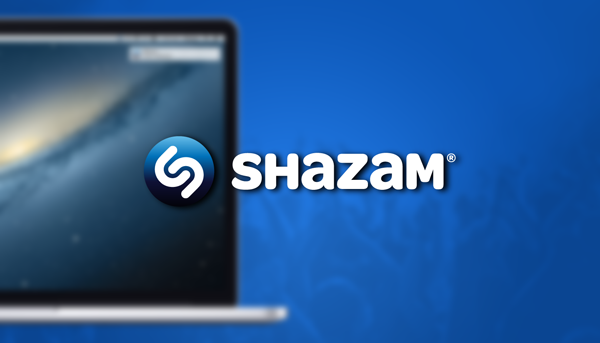 As with the iOS and Android app, Shazam for Mac will also deliver a wave of information relating to the content tagged, including App Store download links, cover art, and other associated data. 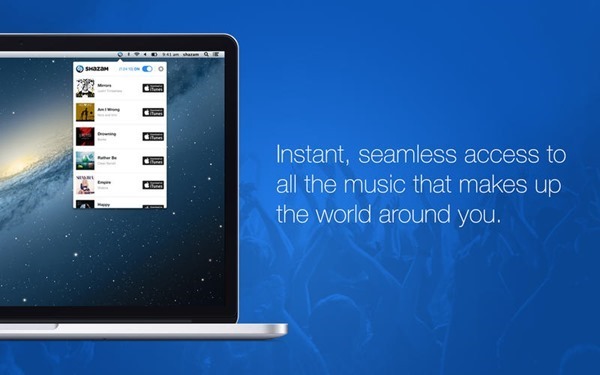 The app is very fluid, and as a long-time Shazam user, I’ve noticed how streamlined and enjoyable the apps have become over the last few years, solidifying the company’s place as the leader of a market that is actually quite busy given the presence of SoundHound et al. Aside from music, Shazam has also sought to recognize TV shows, with more than 160 U.S. TV channels already under the watchful eye of the Shazam database. Of course, it’s not quite as advanced as the music-tagging feature just yet, but given the service’s near-perfect knack for spotting that new tune you’ve heard a few times already, we don’t doubt that it will soon be on par. Be sure to check out our Mac OS X Apps Gallery to explore more apps for OS X powered computer. Hmm, only 50% success rate here and they were all popular songs. Didn’t even recognise Blurred Lines! 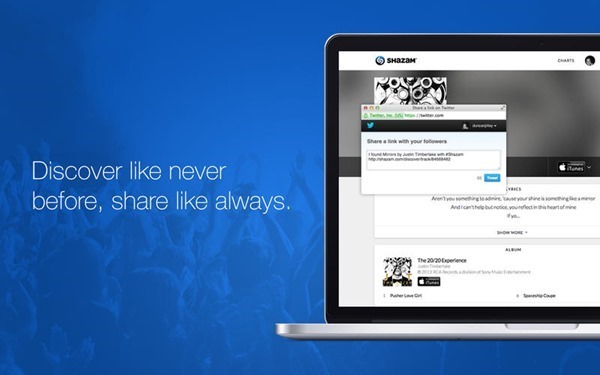 You should remove Blurred Lines from your memory as Shazam did with it’s database.